I made a stock of mitakes, onion, garlic, thyme and soy. I cooked the rice in the stock. Roasted mitakes, butternut, crispy spinach, mascarpone, parm, lemon. 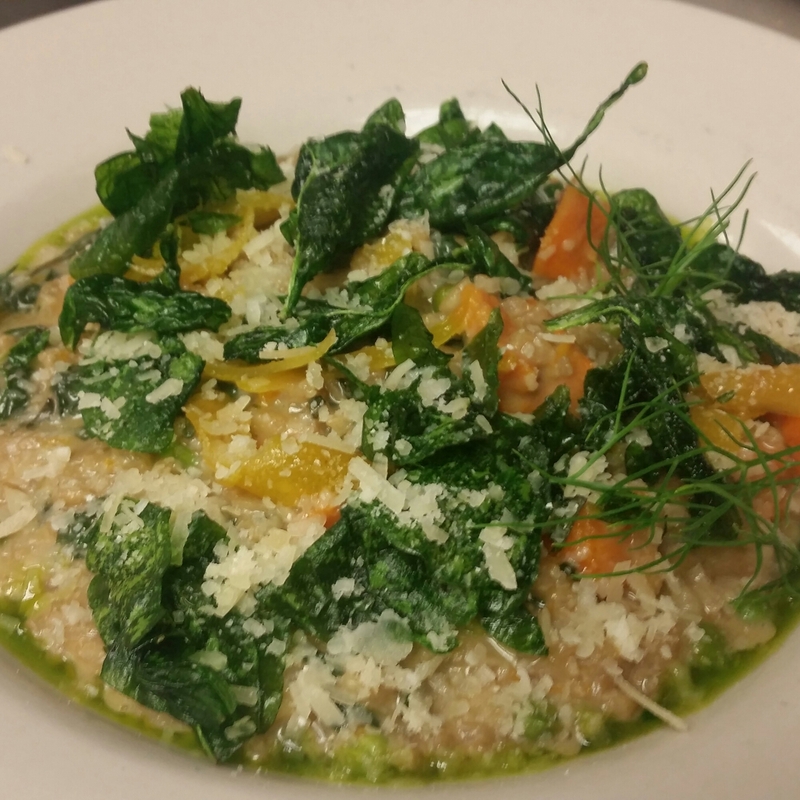 This entry was posted on April 9, 2015 at 10:35 pm and is filed under Chef, grains, mushrooms, My Work, vegetables with tags crispy spinach, Hens of Woods, mitake, risotto. You can follow any responses to this entry through the RSS 2.0 feed. You can leave a response, or trackback from your own site.